Atlanta arts community gathers, utilizing art as a means to heal. In the aftermath of trauma, how do you cope? If I Told You… attempts to illuminate thoughts and ideas on that very subject. Co-curated by Grace Gardner 17C, this group exhibition at the Beacon Atlanta showcases the work of fifteen unique artists who identify as female. And each composition is centered around themes of harassment, assault, violence, and treatment of the female body. Open from February 14 until March 28, the exhibit includes works ranging from a church confessional to a ball pit of stuffed animals. Along with an assortment of visual art, the exhibit also has a film aspect. During the six week show period, the Emory Department of Film and Media Studies has curated a film series aimed at fostering discussion about the role film and media play in portraying gender. Film screenings include the documentary-style feminist narrative Born In Flames (Lizzie Borden, 1983) about a socialist party rising to power and 9 to 5 (Collin Higgins, 1980) starring Jane Fonda and Dolly Parton. In tandem, other free programs are hosted, including yoga classes themed around self-care and a flower crown workshop. If I Told You… is the brainchild of Gina Livingston, founder of Medium Arts Atlanta, a business with the sole purpose of making arts accessible to the “regular” person by hosting dinners and curating programs, via partnerships with up-and-coming artists and arts organizations in the Atlanta area. “Art is a reason to come together,” says Livingston, who created the exhibit to foster a dialogue about the all too common female experience. And she’s right. More than 250 people packed into the gallery on the exhibit’s opening night. “It’s powerful to be in a space full of women,” says Gardner who, with her co-curator Lauren Harris, selected the works featured. 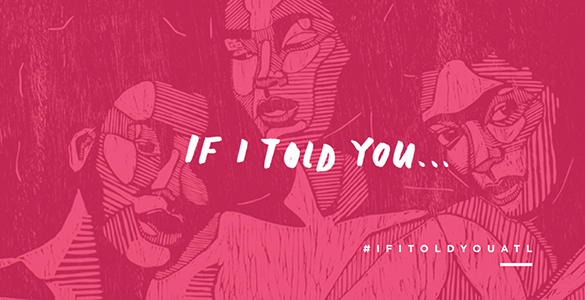 If I Told You… is divided into sections touching on conversation and healing, works that confront the topic of sexual assault, and the process of healing through trauma. Gardner and Harris, in partnership with Medium Arts Atlanta, pulled the exhibit together in a short four-week period. (Typically, art exhibits can take six to nine months to plan.) With the help of a dedicated group of Atlanta women, they reached out into their personal circle to female artists. And together they collected both works that already existed in the artists’ inventory as well as solicited works created just for the exhibit. Editor's Note: Are you an artist or a creator or just interested in the arts? 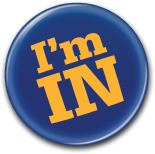 Please get involved with the Emory Creative Alumni Network, an Emory alumni community centered on highlighting creative activities as well as supporting those in creative professions.